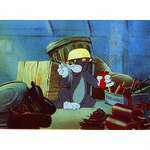 ..:: The Tom and Jerry Online :: An Unofficial Site : The Butchery of Tom and Jerry::.. 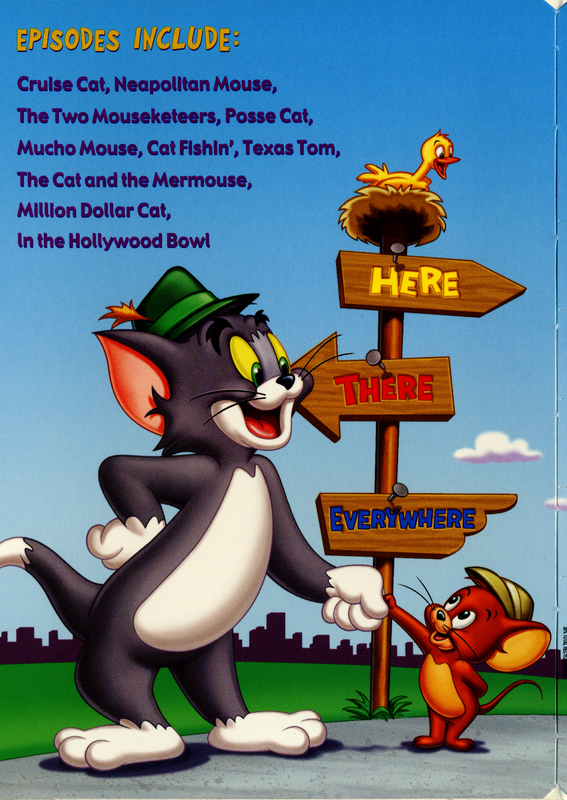 This list is in alphabetical order, showing the edits that were made to Tom and Jerry cartoons. This is not a complete listing as there are a lot of different variations out there. These are the most common edits found in early video/DVD releases as well as broadcast. 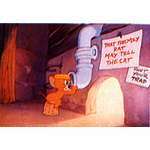 Please note that as of August 22, 2006, the UK has banned all scenes of Tom and Jerry smoking and therefore are showing those cartoons cut. Tom breathing cigar smoke in Jerry's face causing Jerry to do a blackface dance is deleted but the scene where Tom coming up from the sofa with rings around his neck isn't. The version that occasionally plays on Cartoon Network has Mammy's voice redubbed. Mammy's appearance at the end is sometimes removed. The entire scene where the bird tosses Tom into the laundry and Tom emerges looking like an Indian chief is edited out. This cartoon is missing the scenes with Mammy Two-Shoes. 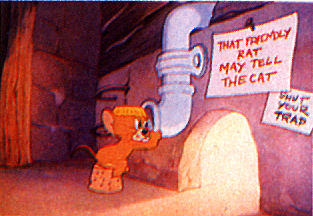 The version released on the TOM & JERRY ON PARADE videotape and THE ART OF TOM & JERRY laserdisc set has all the cannibal dialogue edited out. All the natives and Jerry's imitation were silent, even though the audience saw all the characters' lips moving. 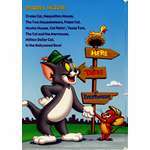 The Tom and Jerry: Spotlight Collection Vol. 3 has the dialogue restorted, but it cuts out the small cannibal at the end. The exploding teapot scene from "Yankee Doodle Mouse" fades out early. The scene where Jerry and the canary disguise themselves as Indians to trick Tom is cut. The scene from "The Little Orphan" fades out early after the candle burns Tom. The blackface results are not seen. The scene in which a candle fired by Nibbles lands on Tom's tail was reanimated. Originally, as a result of the candle setting him on fire, Tom appeared shortly in blackface. The stereotypical results were cleaned up by having Tom retain his Indian headdress which was absent in the original version. Another edit has the candle land on Tom's tail but nothing happens. Also gone was the part directly following the candle scene, in which some airborne champaign bottles hit the blackened Tom in the back of the head causing him to fly into the cabinet of dishes. The baby seal throwing a trash can cover at Tom causing Tom to look Chinese is cut. Missing is a scene where Jerry and Nibbles try to fool Tom by disguising themselves in blackface with some shoe polish. 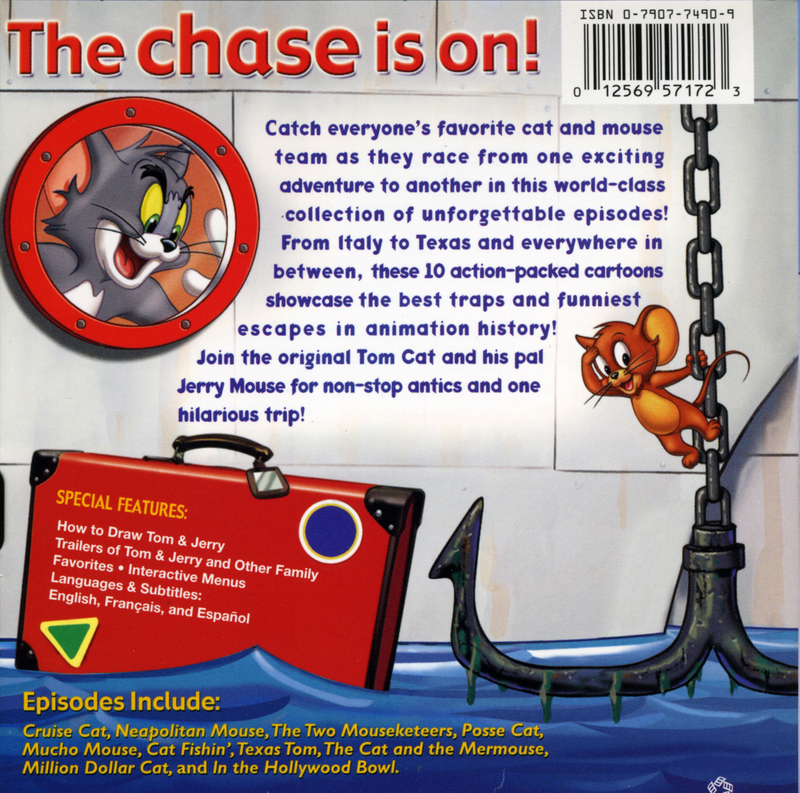 As edited, you see a scene where Nibbles, held up by Jerry, spits milk into Tom's face, and you see them run away from Tom into another room. The next thing you see, abruptly, is Tom running face first into a frying pan that the mice are holding up in a doorway. After the huge coal spill at the end of the cartoon, Tom originally came out of the pile of coal in blackface. Mammy asks Tom, who she thinks is a man, if he has seen a cat. Tom responds "No ma'am, I ain't seen no cat!" a la Stepin Fetchit. Mammy sees through Tom's impression and yells "THOMAS!". There is a cut from the coal spill to Mammy yelling at Tom and Tom running away. This cartoon is NOT included in any of The Spotlight Collection DVDs. The opening showing Mammy singing and setting the dinner table and Jerry sneaking across the table pretending to be an Indian is cut. The cartoon now begins as Tom pops out of the potted plant. The scene in which Jerry's head gets stuck in a bottle of shoe polish is abruptly cut short. In the original, Jerry emerges from the shoe polish bottle in blackface. The scene where the two cats look in the oven, only to have Jerry cause an explosion with a match, leaving them in blackface was deleted. Tom hides in a package addressed to Jerry. Jerry begins to stick hat pins into the box and saws it in half. Jerry finally takes a look at what is inside and holds up a sign: "Is there a doctor in the house?". This was removed on some local stations. The "uncle" in "poor old uncle Tom" is absent, and in some copies Mammy has a different voice. There are multiple versions of Mammy's voice. And I think the purpose of shortening Mammy's line to "Take good care of Tom" was to remove the scene where Lightning puts shaving cream on Tom and gives him a cane, rather than the offense of the dialog. Mammy's voice is redubbed. Some of her dialogue was changed in the process. In the original, she says in one scene "Well slap my face if this ain't a mess! ", but in the redubbed, she says "Well I'll be darned. This is such a mess!" Other oddities in the Cartoon Network version included the muting out of Tom's "One for the money, two for the show..." at the end, before drenching Mammy with a jug of water. 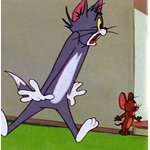 The Chinese gag on the record player, where a record lands on Tom's head making him look Chinese followed by Jerry mockingly imitating his foe's predicament, is edited. Sometimes the scenes at the beginning featuring Mammy were removed. Mammy's voice has been redubbed in the version on Cartoon Network. In the original, Mammy said "O-W-T...Out!" in this edited version, she spells it correctly ("O-U-T"). 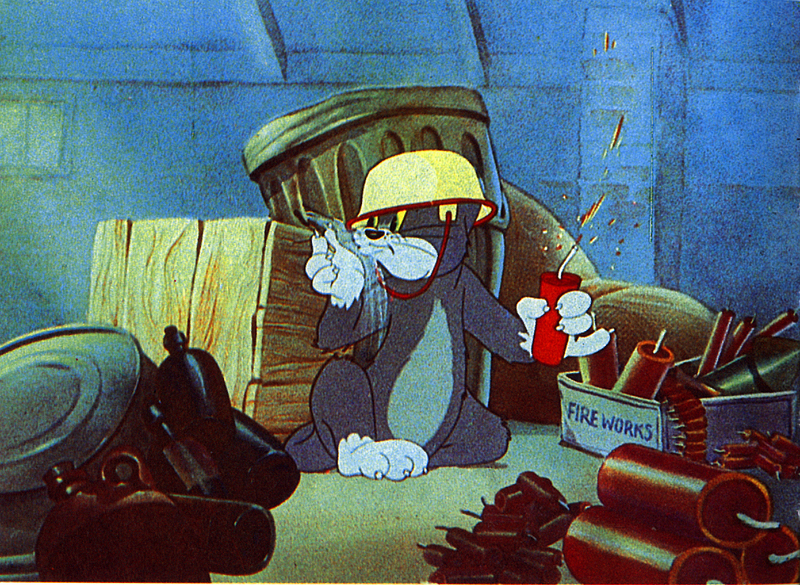 The cartoon ended abruptly after Jerry blew on a noisemaker in which Nibbles had hidden a 4th of July firecracker. After the explosion, Jerry was left in blackface. Some versions features footage of the young white lady which was animated to replace footage of Mammy. However, Mammy's original voice was heard on the soundtrack! There is a version with the young white lady voiced by June Foray was released on the videotape THE VERY BEST OF TOM & JERRY and THE ART TOM & JERRY laserdisc set. Jerry's rant to Tom about the noisy music that Tom and his friends are making was silent. In the original, Jerry starts yelling what sounded like "I'm trying to get some sleep and youse guys are out here goin' BANG BANG BANG BANG!!!" 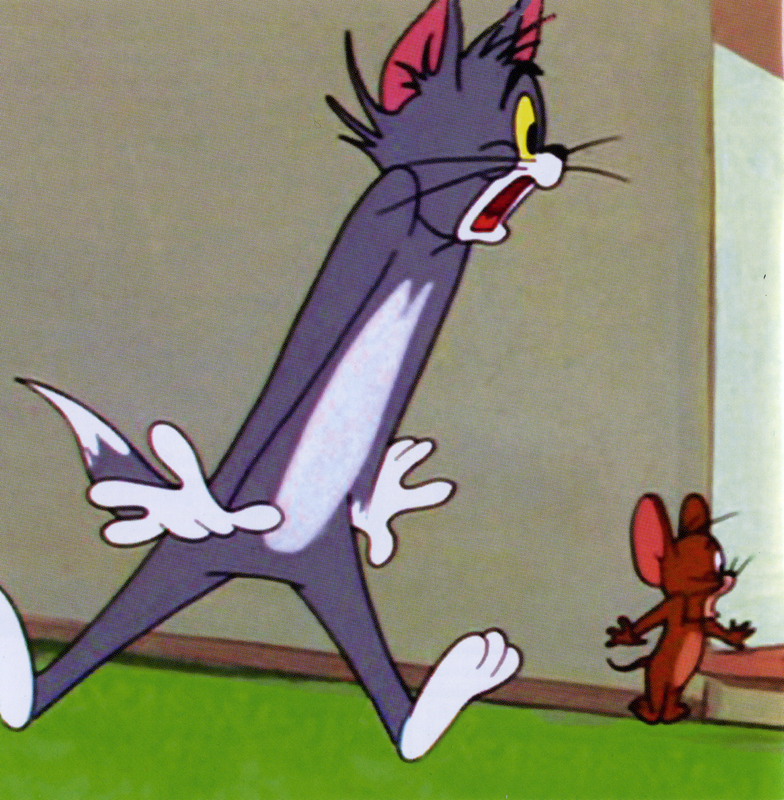 A scene where a cat accidentally misses Jerry and chops off Tom's tail with an ax was cut. The passing meat truck splashes mud on Tom, Jerry, and Spike. This leaves the trio in blackface for a few seconds which are now cut. The ending where it is suggested that the king beheaded Tom offscreen was cut. Tom in blackface as a result of an exploding teapot is removed. 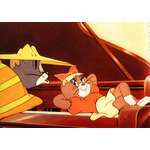 Regarding the black/white versions of Mammy Two-Shoes in the Tom and Jerry cartoons. The "White Mammy Two-Shoes" versions were created back in the 1960s for CBS when they were airing these cartoons. 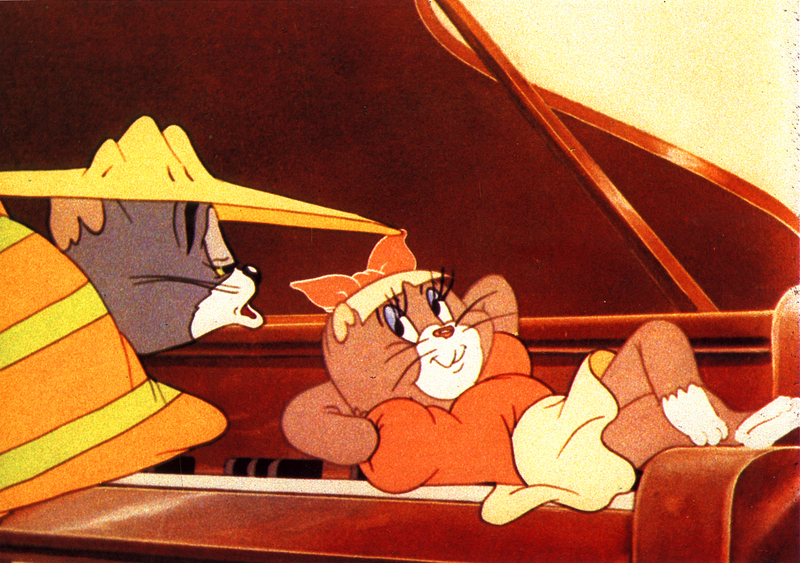 The work was done by Chuck Jones's crew when Jones was making new Tom and Jerry theatricals. I recall reading Chuck's remarks that at the time M-G-M still had most of its old animation artwork on file, so it was pretty much just a matter of retracing and repainting the original pencil animation and photographing it against recreated backgrounds. This new "White Mammy" material was then cut into dupe negatives of the cartoons in question to replace the original "Black Mammy" footage. Voice actress June Foray was brought in to redub the soundtracks. (Incidentally, that voice is supposed to be Irish.) Instances where the "White Mammy" has a "Black Mammy" voice (or vice versa) is a result of carelessness. Picture and sound elements on film masters are stored separately. What happens is simply that someone isn't paying attention and matches a newer "White Mammy" picture element to the original "Black Mammy" sound element (or vice versa). Many thanks to http://looney.toonzone.net/ltcuts/ for providing this invaluable information. 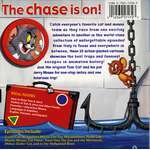 As well as, Randy's Tom and Jerry Cartoon Information Site.